Dr. Bayers gave a thorough explanation and was very approachable about any questions. Very friendly staff throughout office! Very kind, professional, and knowledgeable. She listens to your concerns and approaches diagnosis and treatment witha fresh set of eyes every visit. Very kind, professional, and knowledgeable. She listens to your concerns and approaches diagnosis and treatment with a fresh set of eyes every visit. ** Please note, we have a 24 hour cancellation policy! Kindly let the office know if you will need to cancel or reschedule. 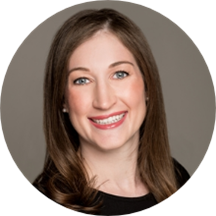 ** Dr. Stephanie Bayers is a skilled dermatologist, looking after the locals of Chicago, IL. Currently practicing at Advanced Skin and MOHS Surgical Center, s.c., she combines her dermatologic skills to achieve skin health and help restore a natural look of beauty in an individualized manner for every patient. Dr. Bayers graduated from the University of Miami, where she earned her medical degree. She then went on to complete a residency in dermatology at the University of Texas, Southwestern. She is also an active member of the American Academy of Dermatology, Women's Dermatologic Society, and the American Society for Laser Medicine and Surgery. Dr. Bayers' commitment to medical education and patient care is exemplified by her vast research experience. She has received the Cognitive Excellence Award and the Leadership Award. Outside of her clinical career, she enjoys reading, running, and traveling. Advanced Skin and MOHS Surgery Center, s.c.
Dr. Bayers was great and I'll be going back to her for future appointments for sure. The appointment was fast but didn't feel rushed at all, and it was obvious the team actually read the information from the nurses and formsthey had me fill out before seeing the doctor, which I appreciated not having to repeat myself at all. I highly recommend! Dr. Bayers was friendly and helpful. This was my first skin check, and she made me feel at ease. Dr Bayers was very prompt and addressed all of my concerns. She gave me multiple opportunities to ask any questions and did not rush me at all. I would definitely recommend her and will be seeing her again for any future dermatological needs. Very friendly and informative. Answered all my questions! Dr. Bayers (and her assistant) had a terrific bedside manner. She told me what she was doing as she examined me. After, she thoroughly reviewed the importance of using sunscreen and explained options. This was all very helpful for my yearlyskin screening. I already made my appointment to return next year. Stephanie made the entire process very easy. It was my first time going to a dermatologist and she was very patient, thoroughly explained my options, and then suggested the appropriate treatment. I definitely recommend her and will be going back in the future. Dr. Bayers is so friendly and puts you at ease with a simple smile and small talk. Her assistant Juan is hilarious and a Harry Potter fan (which kept me distracted during the shave removals). I was hesitant to switch dermatologistsbut I’m happy I did. Not only is she closer to my home but she lets you ask questions and answers every one with no hint of annoyance or irritation. I would recommend her to anyone who has a dermatologic issue or concern. A++ in my opinion. She was super personable and friendly and made me feel comfortable right away. I would have liked to spend a little more time with her but I always forget all the questions/issues I want to address once I get into appointment!I was in and out in under twenty minutes. The nurse was actually super helpful and gave valued input. I appreciated her candid nature. Very satisfied with the personal interest and attention, and experienced care shown by all I came in contact with. Both doctors I saw were very kind, as was the front desk. But I left feeling a little confused. A lot of information given in a short amount of time. Felt sort of rushed. I showed up early for my appointment - and they were able to get me in earlier than my scheduled time. Everyone was very welcoming and friendly. She was attentive and made sure to give me time to ask additional questions. Highly recommend her as a primary dermatologist to see for your annual checkup. Dr. Bayers was efficient but still answered all my questions. She gave her opinion but was still open to hearing what I would like to do. The office staff was friendly and I was seen fairly quickly after arriving and fillingout my paperwork (maybe 10 minute wait). Overall a great experience. It was a right decision to visit Dr. Stephanie Bayers. Was my first visit, and I was not sure. But gave it a chance, and glad I did. She was very efficient, quick, to the point, attentive, took time to listento me and to do the job. Would not hesitate to recommend her any day. Stayed on schedule. Was in and out quickly, which I appreciate from doctors offices. Dr Bayers was friendly and knowledgeable! While my wait time was somewhat unfortunate, the appointment went really well once I was seen. Dr. Bayers was very nice, professional, and helpful when answering all my questions. The nurse who assisted, Kara, was also great.